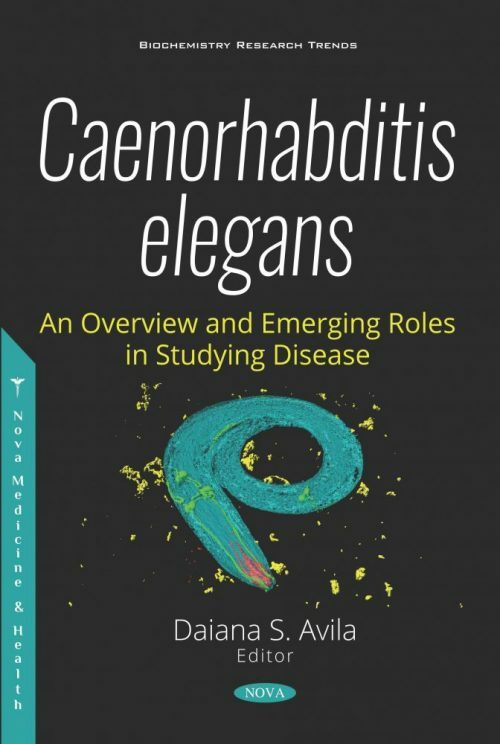 Caenorhabditis elegans – An Overview and Emerging Roles in Studying Disease explores different disease models that have been successfully validated in this nematode, either to unravel disease mechanisms or to perform drug screenings. This nonpathogenic organism has helped to firstly identify genetic mechanisms important in cancer (Ras and Bcl oncogene signaling), aging (insulin signaling), and nervous system development (UNC-6/Netrin signaling). Human conditions such as aging/frailty (Chapter One), metabolic syndrome (Chapter Two), neurodegenerative diseases (Chapters Three and Four) and neurodegeneration induced by chemicals (Chapters Three and Five) are recapitulated in C. elegans. The construction of transgenic animals that mimic the diseases, the advances in understanding molecularly these conditions, potential new treatments and limitations of the models are reviewed in these chapters. Notably, the authors that contributed to this book are from different parts of the world due to the widespread use of this nematode in research. This book is directed to people that work with complementary/alternative models or desires to work with C. elegans as an specific topic; is for researchers that want to understand how this invertebrate model can contribute to their research; therefore, this book is directed to researchers at universities and research institutions.